Over 50,000 strong, CenturyLink Pioneers are a volunteer group of current and former employees who are passionate about enriching and strengthening the diverse communities we serve. Our Spirit of Service is demonstrated every day by actively engaging in the community as volunteers, board members, and good corporate citizens. Through this engagement, our commitment extends far beyond financial support. CenturyLink Pioneers have a primary commitment to education, and we work with schools throughout our region to help kids be successful. We also work with Habitat for Humanity to build houses for the homeless; we build access ramps in parks for the disabled; we help the visually impaired; and we assist local food banks. 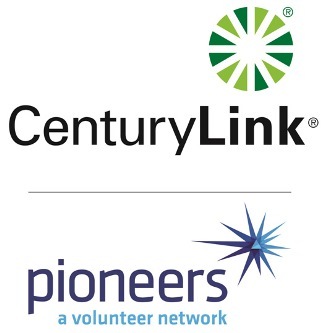 Look almost anywhere in our communities where people need assistance, and CenturyLink Pioneers are there. We contribute over 1 million hours of volunteer service each year in our 14-state territory, truly making a difference in the lives of others!